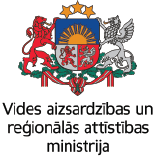 Latgale Planning Region invites local municipalities of the region to participate in training “The availability and quality of customer-oriented services in municipalities: personal effectiveness and stress management”. Training will take place in Krāslava municipality on April 24, 2019. This is the last training for municipalities in the framework of the project. In this event lecturer and business psychologist, Edmunds Imbovics will focus on personal effectiveness and stress and conflict management. Participants will learn how to better organize their work, how to deal with difficult customers and raise the quality of municipal services. We invite municipalities of Latgale Planning Region to delegate a representative to this event, sending information about the participant (name, surname, phone No. and e-mail) to e-mail: pasts@lpr.gov.lv. The number of participants is limited!